Android now powers 9 out of 10 Smartphones. The mobile operating system war is now over. And Android won. Because while Apple still sells shedloads of iPhones, 9 out of 10 smartphones sold around the world is now powered by Android. And those numbers are unlikely to change anytime soon. When it comes to gadgets, there has always been a propensity to take sides. The most obvious example is PC vs. Mac, but there have also been web browser wars, games console wars, and many more besides. 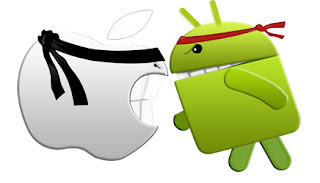 The current binary option of choice is Android vs. iOS. There used to be other alternatives vying for your attention, but with BlackBerry no longer a thing, and Microsoft’s commitment to Windows Phone being called into question, consumers really only have two mobile operating systems to choose from. The choice is between Android and iOS, Strategy Analytics suggests that Android now enjoys an 87.5% share of the market. Apple’s iOS, on the other hand, only controls a 12.1% share of the market. The positives for Google are patently obvious. As are the negatives for Apple. But in terms of consumers, it’s all about the apps. Some people believe iOS apps are still superior to their Android equivalents, but that’s unlikely to remain the case if things carry on as they are. With Android enjoying such a vast lead over iOS, developers will increasingly focus on Google’s mobile operating system. After all, developers just want to reach the most number of users they possibly can. Which is why many apps are now being launched on Android before they’re ported to iOS. Are you an Android user or an iOS user? What led to you making that choice? Do you care about the market share of your chosen operating system? Kindly tell us via comments. Companies can use a software application like Highster to track an employee while the individual is on the clock at work and is unsupervised, have a look at this link for more information!